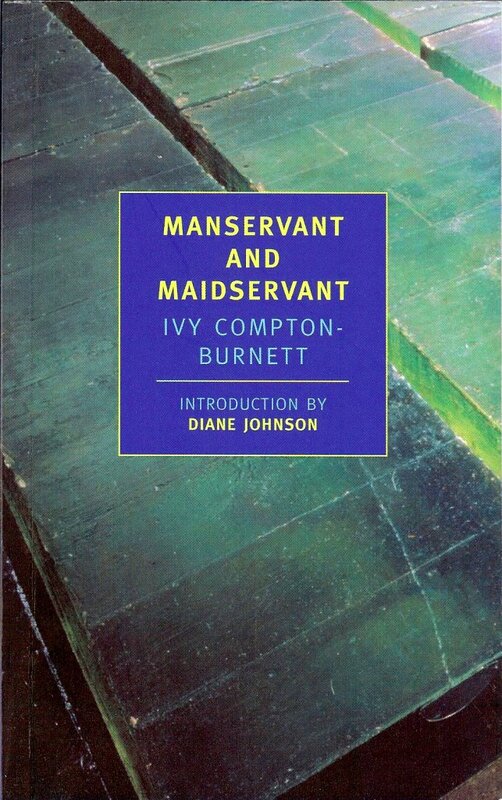 Until Simon over at Stuck In A Book had the idea to do an Ivy Compton-Burnett read along I didn’t really know anything about ICB. I had a vague notion that her books were a little quirky and her writing style an acquired taste. But those impressions suggest that I knew more about her than I did. There was even a moment before I got myself into all this when I wondered if ICB was a male with one of those once antiquated unisex names like Evelyn or Leslie. Although I have met my share of male Leslies here in the US, I think you would be hard pressed to find a male Evelyn. Then again, it is just as unusual in Britain. Maybe Evelyn Waugh was the only male Evelyn, ever. But suffice it to say, Ivy was a woman. I think Simon first brought up the idea in late September but I didn’t get onboard until the middle of October. I wasn’t even entirely sure what a read along was. In the end my curiosity about ICB and the worry that I might be left out of something interesting got the best of me and I ordered my copy of M and M.
[Manservant and Maidservant] focuses on the household of Horace Lamb, sadist, skinflint, and tyrant, a man whose children fear and hate him and whose wife is planning to elope. But it is when Horace undergoes an altogether unforeseeable change of heart that the real difficulties begin. Is the repentant master a victim along with his sometime slaves? What compensation, or consolation, can there be for the wrongs that have been done? Horace could be the archetypal villainous parent, the wicked stepmother, if he wasn’t so humorous. The comparison that pops into my head is Basil Fawlty, John Cleese’s brilliant television character, who is a miserable human being, but so funny at the same time. Horace tries his best to make his children’s lives miserable but his interactions with these precocious little ones makes it clear that although he may have control over their daily comfort, he has no control over their hearts and minds. Lamb’s household staff also play a role in M and M. Much like the fabulous 1970s television series Upstairs Downstairs, there are three parallel storylines in play. The upstairs storyline, the downstairs storyline, and the storyline that comes into being when those two worlds intersect. The relationship between Mrs Selden the cook and her kitchen maid Miriam reminded me a lot of the relationship between Mrs Bridges and Ruby on Upstairs Downstairs. Generally abusive but bordering on affectionate. The butler Bullivant, however, is no Hudson. He seems like he would be more at home in the servant’s hall in Gosford Park than 165 Eaton Place on Upstairs Downstairs. You told me not to write to you, but I am never so malicious as to take people at their word. It is almost like telling them that they have made their bed and must lie on it. It is nice of you to miss me so much, when I wronged you under your own roof. But it was not my fault that I had no roof of my own, and had to do things under yours. ICB is definitely a writer whose work I want to explore further. I am glad that I ordered her other favorite book A House on its Head when I ordered Manservant and Maidservant. Next Article Worst. Movie. Ever. Um, I still haven't started it! I had too many books lined up last month so I can't help to illuminate you any at present, I am afraid. Really pleased that you liked it, Thomas! You're right, it's hard to explain what makes it great – I think that's because she writes so differently from any other author I've read. Hi, Thomas! I have this book on my TBR pile! I quickly scanned it and discovered that most of the text is in dialogue! Very, very intriguing. Are you a fan of the NYRB editions, by the way? I'm a huge fan of NYRB. They're publishing classic titles that aren't popular but just as good as the well-known classics published by Penguin and Oxford. Simon: Thank you for the ICB push. She is definitely worth the effort. Peter: I like the idea of the NYRB editions a little too much. I end up buying some and wondering why once I get home. Like the writings of Helen Keller. I am pretty sure I am never going to read that. I just reviewed this book on my site. Not sure you'll it though.